Android dialer and messaging replacements | 22 Point Blog! 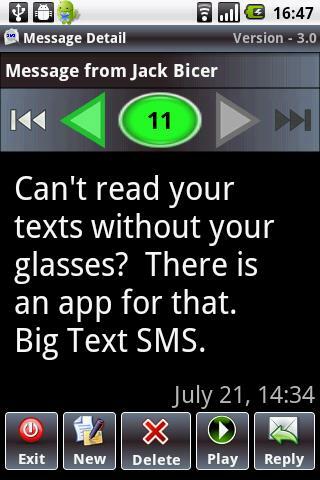 « Android Font enlargement apps. 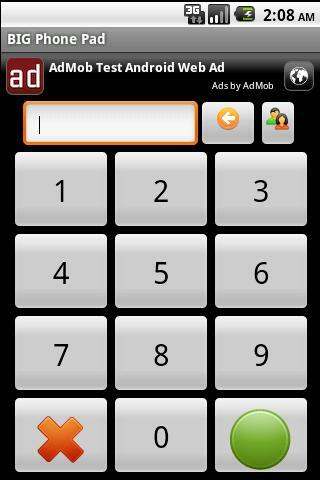 The quick recommendation: Big Dialer or Big Telephone directory for calls, Big Text SMS or Handcent for SMS. 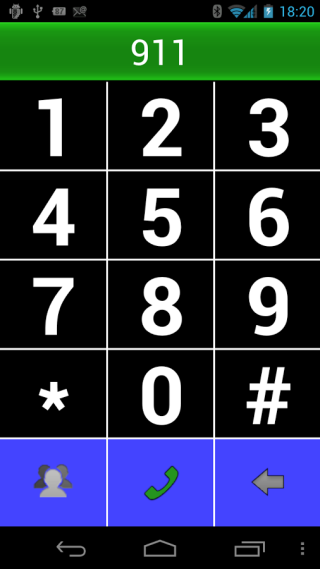 The stock dialer, messaging and contacts apps vary from phone to phone, and sometimes from launcher to launcher. 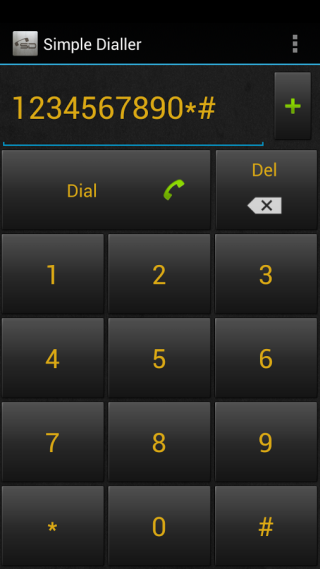 If you’re using Big Launcher for instance, it includes large print dialer and SMS apps. If you aren’t happy with whichever ones you are using, I’ve put together a few large print alternatives. I actually held off on posting this for a few weeks looking for the ideal solution, however I haven’t found an all in one app I really like so I’ve listed most of what I found below. Font size – 4 settings up to 42pt Bold. Starts in list of contacts, go into a contact and either tap number to call, long press to SMS or tap email to send message. Has black on white dial pad with 24pt numbers, call history with small action icons and Japanese date characters. Works with Talkback. Only scrolls through contacts numbers (name is always shown at top, which can cause problems with large fonts and long names). Font size, pinch zoom from 18pt up to 36pt (At 36pt could only get about 10 chars wide in portrait mode – current contact does scroll left / right automatically). Scrolls as if on a cylinder. 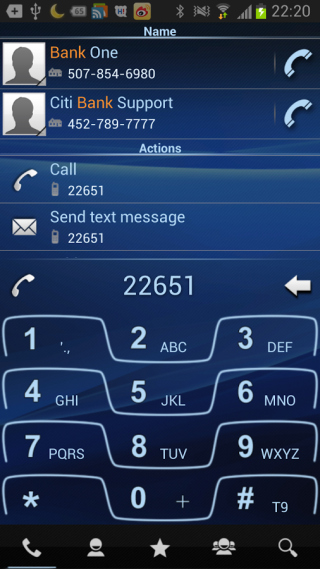 Buttons to switch between contacts, call history and dialer in corners but small. Call history in Arial 10pt. No talkback support. 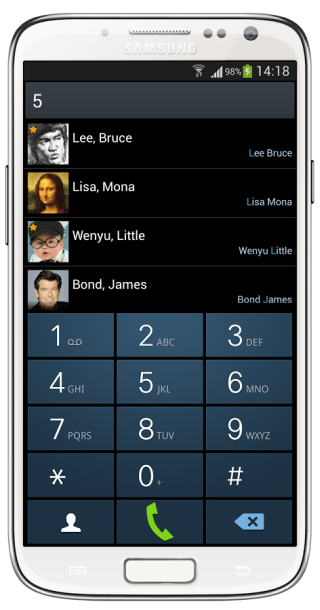 Mostly a dialer, contacts button takes you to system contacts. Works with Talkback, however contacts button labelled as “image button” and “add contact” button labelled “alpha button”. Big Dialer by BK Mobility. Font size up to 60pt numbers, 24 pt dialled number and 10pt letters on keys. Configurable colours / font size / speed dial (hold down numbers). Contacts button links to system contacts. $1 with free demo. Reads with Talkback. Font size up to about 64pt numbers, 28pt dialled number (though partly cut off for me). Only dialer and only blue on white. $1.34 or free demo version. No buttons labelled for Talkback. Numbers 22pt black on grey buttons, recent calls 16pt white on black. Does not fill screen on higher resolutions and recent calls only give number, not contact name etc. $0.99 or free with ads. 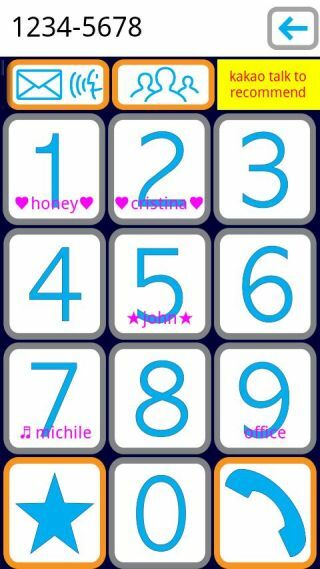 Numbers read with Talkback but delete number and contacts buttons don’t read and don’t work at all with Talkback. Font size on Huge: 14pt. Contacts: 18pt (call info 12pt). Dialer 36pt numbers with 14pt letters. Small buttons to access features. 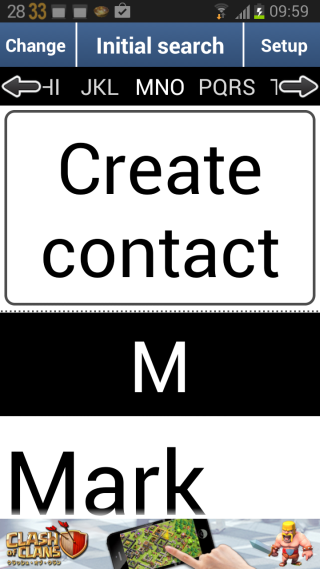 Reads with Talkback, when moving through contacts, photos are simply labelled button. Buttons don’t read with Talkback, does read contact names in recent call list. Chars and message count 10pt. The best solution seems to be a combination of a dialer app and a separate SMS app. If you do have a good app I haven’t mentioned, please share it for everyone in the comments below! 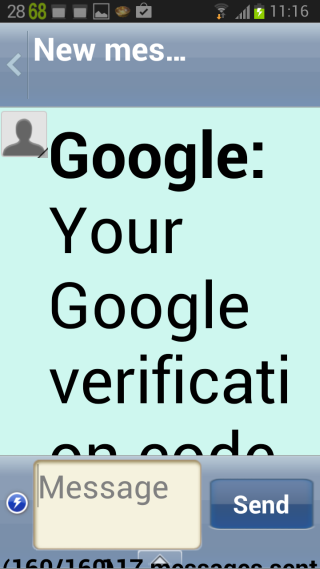 This Post was tagged accessibility, android, Dialer, large print, SMS. Bookmark the permalink. It takes a little setting up to get the theme and text size just right but you can enlarge the text pretty much infinitely. Thanks to Steve Nutt for the heads up on that one! I am looking for a large print dialer and contact list. I have been using the Rocket Dial, but they recently updated it. As a result, the fonts on the contact list and recent call list are no longer large print. Do you have a suggestion for me? I do need the black background and collored fonts. Thank you.